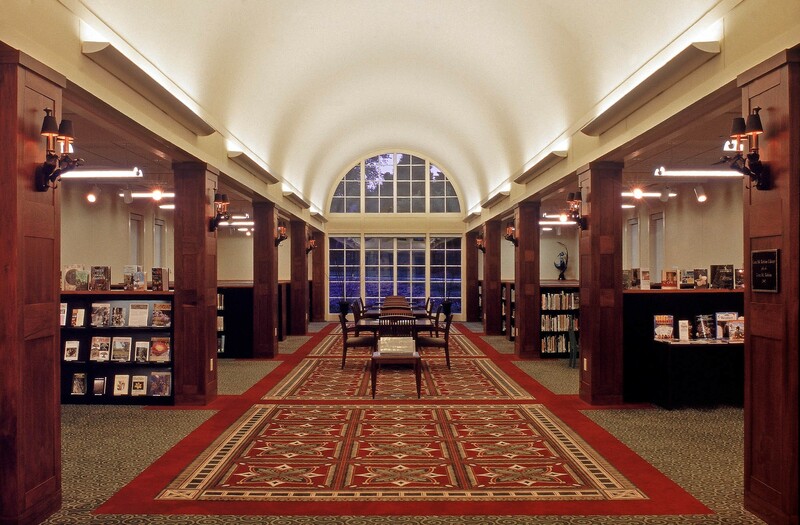 GLAVÉ & HOLMES ARCHITECTURE (G&HA) designed the Education & Library Complex at the Lewis Ginter Botanical Garden. 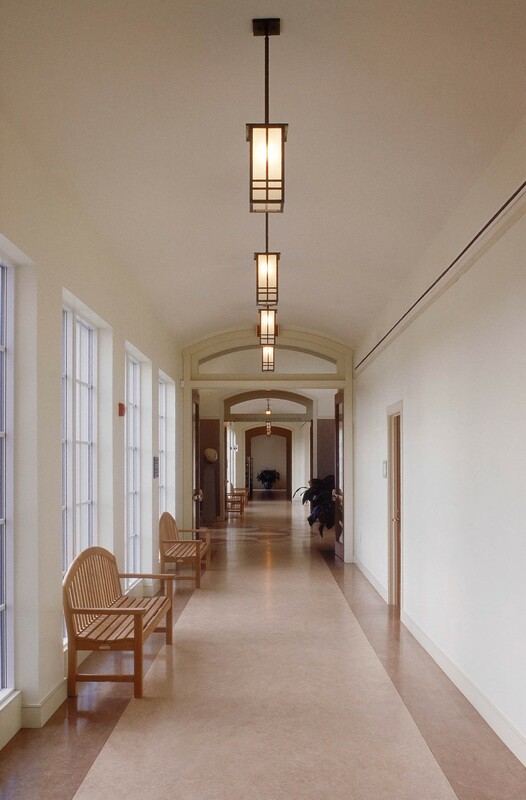 The Complex serves as a public resource for continuing education and research in the botanical fields. State-of-the-art classrooms host a variety of courses and workshops. A library housing 25,000 volumes provides computerized links with other institutions. The Herbarium maintains a collection of approximately 50,000 plates of preserved plant presses. 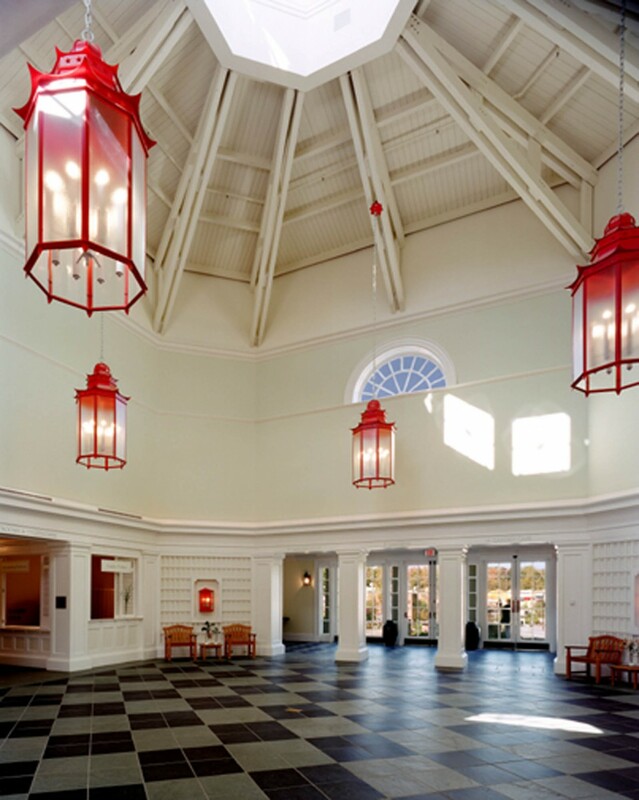 The facility is also an operations center for administration, programming, and educational activities provided by the Garden, and include reception areas, meeting spaces, and a 300-seat auditorium. 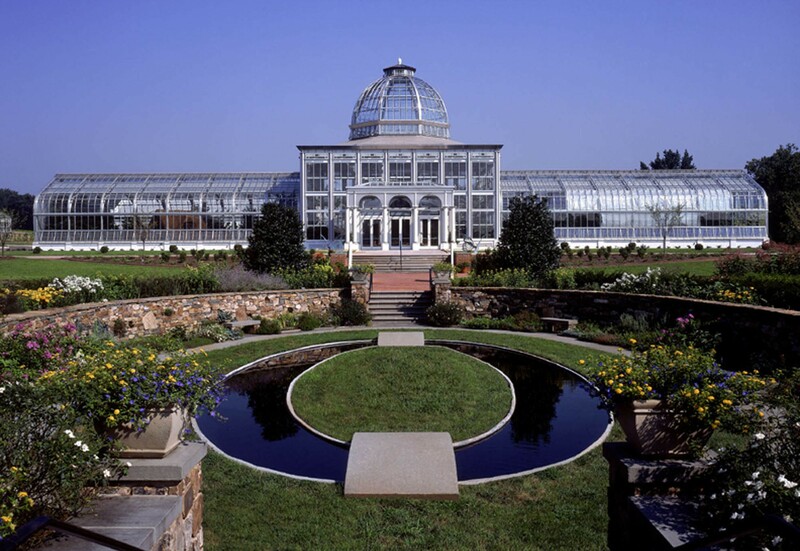 The Garden Conservatory is the jewel in the campus of buildings and gardens at the Lewis Ginter Botanical Garden. The steel and glass building is comprised of a center block with an entry portico and a 62-foot-high glass dome and two glazed wings. The exhibition area of approximately 7,800 square feet is divided into three climate zones. A large covered terrace overlooking the lake and gardens below is used for entertaining. G&HA collaborated with Rough Brothers, conservatory systems designers; Rodney Robinson Landscape Architect; and structural and mechanical engineers experienced in the design and construction of glass houses. 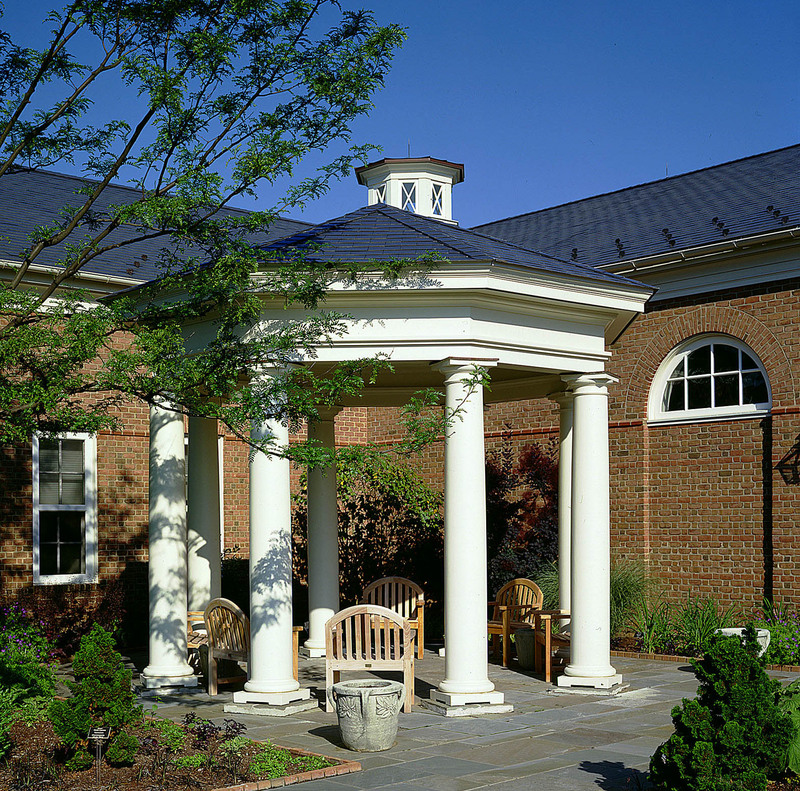 The E. Claiborne Robins Visitor Center is designed to serve as a welcome center to orient, inform, and provide support services to individuals and groups visiting the gardens. The structure houses ticketing facilities, meeting and orientation spaces, a garden information area, gift shop, food service and catering, restrooms and lockers, and exhibit and office space. Located on a stunning historic estate, the garden offers extensive collections and ever-changing displays of seasonal flowers, grasses, trees and shrubs. A gateway building for a series of future facilities planned for the garden, the Visitor Center required a welcoming, “garden-esque” character, which was accomplished by bringing outdoor elements indoors. Skylights, slate and quarry tile floors, wood latticework, soothing paint colors, floral carpeting, and exterior-style light fixtures all reinforce the garden environment. G&HA and Cooper Robertson & Partners collaborated on the realization of this project.